Back in June of 2013, I asked the blogging community to help create An International Blogging Image for anyone to use. Now, half a year later, I’m totally stoked to announce the launch of FreeBlogImage.com, where we give the community it’s new Universal Blogging Symbol – The New International Blog Image. Now anyone, free of charge, can download, edit and use the blog image that clearly represents blogs, blogging and bloggers – Worldwide. Need a logo for your blog? No problem, you are free to incorporate the new Blog Image into your design. Need an avatar? Icons? Blog post images? No problem, no problem, no problem… we have you covered. Use the New Blog Image for any graphic you like to represent blogging. Use the blog image as an icon to refer main website visitors to your blog; use the image to design a cool social media avatar or use it as-is right out of the box. 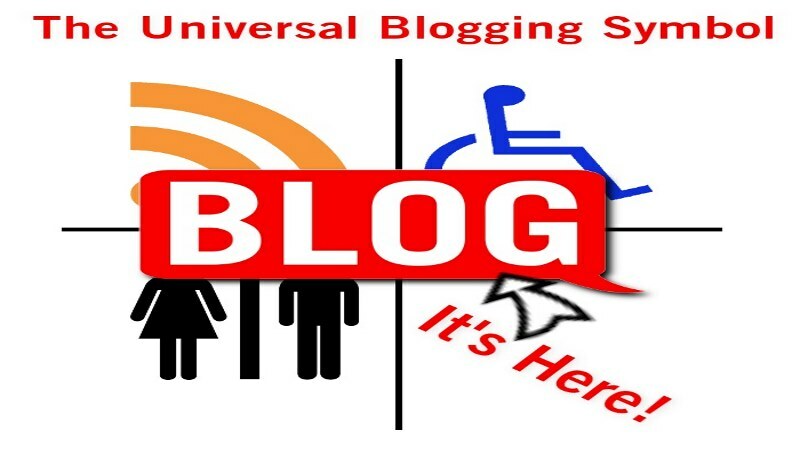 As a community, we now have a universal blog image that will always be free of legal strings, we are free to edit and one that will grow in popularity. The basic site if finished. The image is created. I’m not going to ask for donations or anything crazy like that, but there are a few things YOU can do to help get the word out. Click the +1 button on FreeBlogImage.com and add Free Blog Image to your circles. Follow Free Blog Image on Twitter. Share the site with your social media followings. Tweet it, Share it on Facebook, Pinterest, wherever you can. Blog about the Image and the story behind it. I’d be happy to assist anyone that wants to blog about it. Link to FreeBlogImage.com We all know the importance of inbound links and you have to power to help the blog image get some traction by linking to it, preferably with a do-follow link. Finally, use it. The more visible the image becomes, the more accepted it becomes, the more recognizable it will become. Again, I’d be happy to assist anyone interested in getting the word out. Any questions? Your input was key to the creation of the new Blog Symbol; your feedback is just as important now.